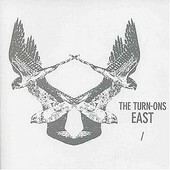 On their latest, Seattle-based space-rock outfit The Turn-Ons deliver a swirling, mesmerizing album of harmonious indie-rock wrapped around glamorous, if not glorious space melodies that help fill out and bring to life the breathy, relaxing songs. That doesn't mean The Turn-Ons aren't without their straight-ahead rockers. This band can rock as well as any indie-rock band, including songs such as "Neighborhood Killer" and "Sideways", two songs that showcase the band's swirling melodies and relaxed vibe, but also deliver enough rock to keep things lively. Even when they're not rocking, when they're playing with your mind and travelling to your inner psyche, The Turn-Ons always persist with a lively melody that is match-able by few. Giving a new spin to shoegazer, spacing out the songs but leaving in enough melody to keep them, and you, coherent. I'll give it a B.